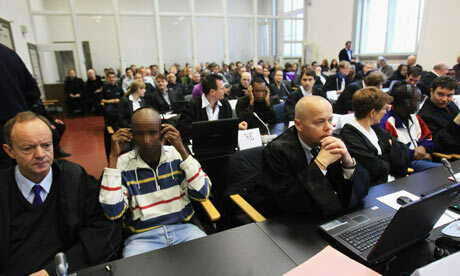 Another landmark piracy trial involving alleged Somali pirates opened on 23 March 2012 in Rome. 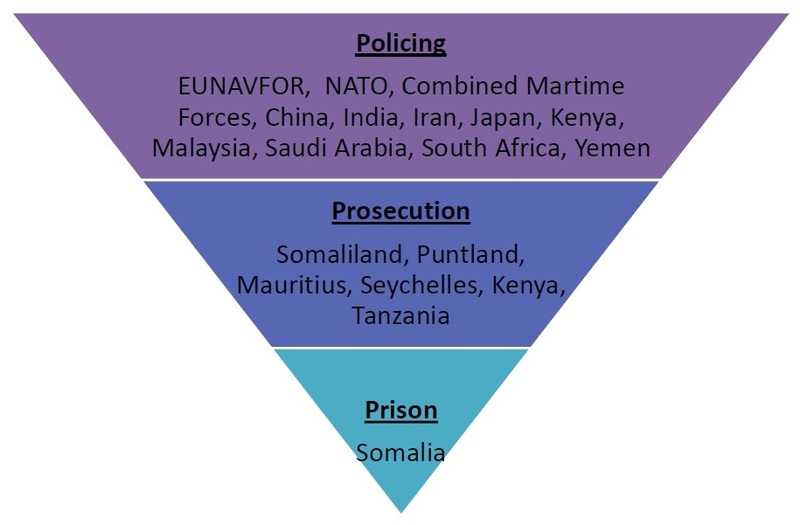 The trial is the first international piracy trial taking place in Italy, mirroring similar trials already held in France, Germany, the Netherlands, Spain and the US, among others, in addition to “regional prosecutions” in the Seychelles and neighboring States in the Gulf of Aden. This trial provides a perfect opportunity to examine the interplay of international and municipal law as Italy has incorporated in its own fashion the relevant provisions of UNCLOS and the SUA Convention. Before reaching these legal provisions, it is important to have an understanding of the rich factual tapestry underlying this case. 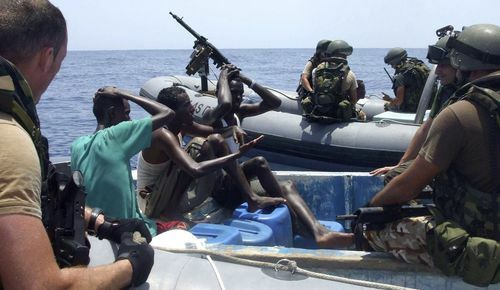 Nine suspected Somali pirates have appeared before the Court d’Assise of Rome in connection with the 10 October 2011 attack and highjack of the Montecristo, an Italian-owned cargo vessel, some 600 miles off the Somali Coast. At the time of the attack, the Montecristo was en route to Yemen transporting scrap iron from Liverpool, UK to Vietnam, The vessel’s twenty-three men crew was composed of Italians, Indians and Ukrainians. Among the seven Italians on board were four civilians with security tasks, although unarmed. According to media reports on the incident, the pirates approached the Montecristo from two skiffs and a mothership, firing at the vessel before successfully boarding it. The vessel’s crew immediately sought refuge in a fortified citadel, from which it could control the engine and continue steering. Some 24 hours after the attack, the Montecristo and its crew were rescued by UK and US troops in a NATO Ocean Shield operation. The then Italian Minister of Defence has since indicated that, prior to the security blitz, Italy agreed with UK authorities to detain and try the perpetrators before its national courts. Despite the pirates managing to cut off the vessel’s means of communication, the crew was able to communicate with the naval authorities, apparently tossing a message in a bottle attached to a flashing beacon. With the crew out of harms’ way, the RFA auxiliary ship Fort Victoria and USS frigate De Wert headed to the rescue, launching a helicopter raid from the former. Eleven suspected pirates were found on board and surrendered without opposing any resistance. Four other suspects were later intercepted 200 miles off the Somali coast on an Iranian dhow deemed to be the pirate mothership from which the attack on the Montecristo was launched. Twenty Pakistani members of the hostage crew manning the hijacked dhow for the pirates were freed. 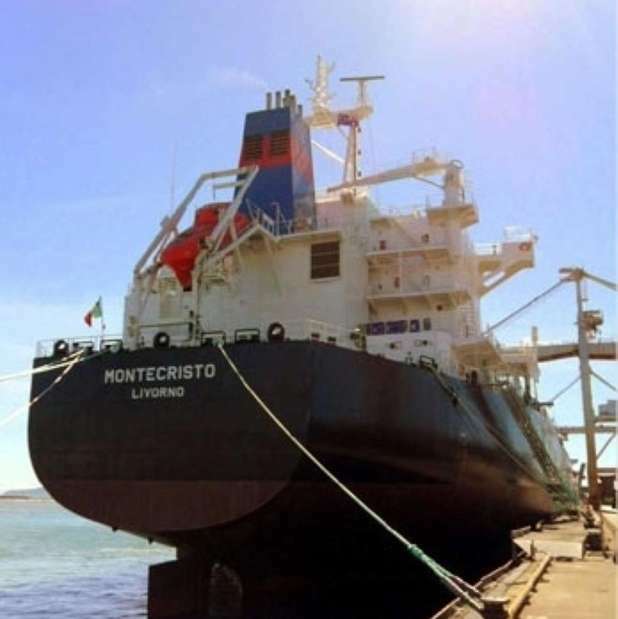 Ladders and weapons were also found on board, including a rocket-propelled grenade as well as life jackets from the Asphalt Venture, a Panama-flagged ship previously hijacked in 2010 and released after payment of a ransom. All fifteen suspected pirates were handed over to Italian authorities and their arrest confirmed. During the judicial investigation into the incident, two suspects from Pakistan were found to have been also previously kidnapped by pirates. They were therefore released by the Italian authorities. Prosecutors have charged the alleged pirates with depredation and damage to a foreign vessel, kidnapping and illegal possession of weapons. 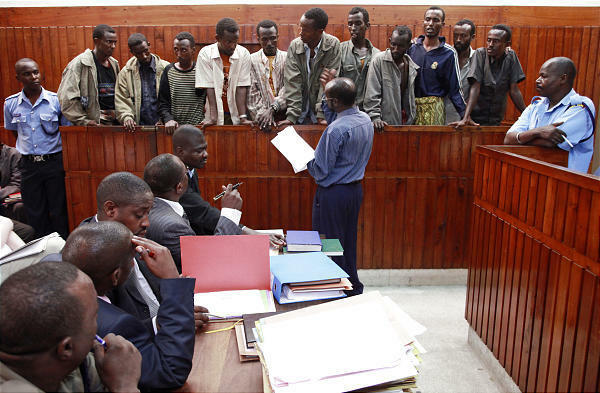 According to the prosecutors, the pirates have connections with Al-Shabaab and the attack on the Montecristo was aimed at financing its terrorist activities and foster a campaign of obstruction of the free maritime transit in the Indian Ocean. The Italian government is participating in the trial as a civil party not only to emphasize the gravity of modern day piracy as communis hostis omnium but also to highlight its relevant social and economic costs vis a vis security and other prevention and deterrence measures. The trial will continue on 15 May 2012 with the testimony of the Montecristo’s captain as well as the captain of the Iranian dhow. The remaining four alleged pirates were previously found to be below 18 years of age and their case was therefore transferred to the juvenile courts. Their trial will commence on 2 April 2012, also in Rome, and will hopefully shed light on the phenomenon of the involvement and use of juveniles as pirates. Notably, the highjack of the Montecristo triggered the deployment of military forces onboard Italian merchant ships as Vessel Protection Detachment to protect these against pirate attacks. Law N. 130 of 2 August 2001 allows for the deployment of both army personnel as well as contractors onboard commercial ships. As widely reported, two Italian marines on duty aboard the container ship Enrica Lexie are currently detained in Kerala, India in connection with the murder of two Indian fishermen during the shooting of a suspected pirate boat in the Indian Ocean. 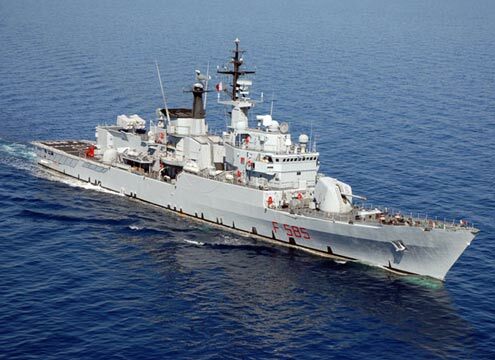 In 2005, Italy was the first nation to deploy one of its military ships off the Somali coasts, the frigate Granatiere, with anti-piracy tasks. Contrary to an increasing number of other States, Italy did not fully implement the provisions of L. 130/11 allowing privately contracted armed security guards on board of merchant ships operating under its flag. Previously, 2 Italian-flagged ships, the oil tanker Savina Caylyn and the cargo ship Rosalia D’Amato were captured by Somali pirates and released only after the payment of ransoms. 1. The Master or Officer of a national or foreign ship, who commits acts of depredation against a national or foreign ship or its load, or for the purpose of depredation commits violence against any person on board, shall be punished with a term of imprisonment from ten to twenty years. 2. For all the others members of the crew, punishment is reduced by a maximum not exceeding one third; for those individuals extraneous to the crew, the punishment is reduced to the maximum of a half. 1. The Master or Officer of a national or foreign ship, illegally equipped with weapons, who sails without proper certification, shall be punished with imprisonment from five to ten years. 2. Para. 2 from art. n. 1135 applies. This Article, although rarely utilized, does not find immediate comparison within the UNCLOS provisions relevant to the repression of piracy. As elucidated below, its applicability is relevant as a matter of municipal legislation pursuant to the norms enshrined in Article 7 of the Italian Penal Code. 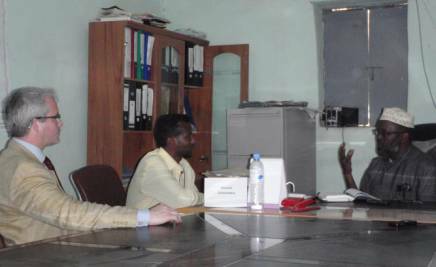 Question arises, yet, on the basis of which national legislation, particularly when concerning Somali pirates, the illegality of weapon possession shall be assessed. Article 1137 instead refers to crimes committed within the Italian territorial seas and is relevant for the punishment of armed robbery at sea. Articles 1138-39 are also worth mentioning, criminalizing not only the seizure of a ship or an agreement to this end, respectively, but also providing for a harsher punishment regime for those who promote these acts. Considering the charges against the suspected pirates, the oldest of which is of twenty four years of age, it has also to be noted that under Article 289bis of the Italian Penal Code, the crime of kidnapping in connection with terrorism carries a possible sentence of twenty-five to thirty years of imprisonment. In addition, Article 5 of Law Decree No. 209 of 30 December 2008, relevant to Italy’s participation to several humanitarian and peace enforcement missions, originally established a series of criminal sanctions with specific reference to international maritime piracy. In particular, it states that crimes referred to in Articles 1135-36 of the Italian Navigation Code, committed either on the High Seas or territorial waters and covered by the EU NAVFOR ATLANTA mission, are punished in accordance with Article 7 of the Italian Penal Code, which allows the punishment of certain crimes committed outside the Italian territory by foreigners or national citizens. Pursuant to L. 422/89, Article 7 also applies for crimes contemplated in the SUA Convention. In accordance with Law Decree N. 61 of 15 June 2009, to be punished under this Article, the crimes committed off the coast of Somalia need to retain a link with national interests, for instance damage to Italian citizens or property. Furthermore, territorial jurisdiction for these crimes resides in the Ordinary Tribunal based in Rome. Finally, in case of arrest for these crimes, Article 5, L. 209/08 extends the provisions of Article 9, para. 5, of the Law Decree N. 421 of 1 December 2001, relevant to Italy’s participation in the chapter of the Enduring Freedom mission in the Horn of Africa. Article 9 provides for the applicability of stricter procedures in cases where it is not immediately possible to bring the arrested individuals before the competent judicial authorities for the confirmation of their arrest. These provisions include the possible extension of further 48 hours after formal notification of the arrest and the use of audio-video conference means for interrogation, confirmation of the arrest and access to a defence lawyer in the place of temporary detention. How will the prosecution charges play out in the Montecristo trial? Particularly relevant appears the piracy-terrorism link, specifically in relation with the funding of Al Shabaab. 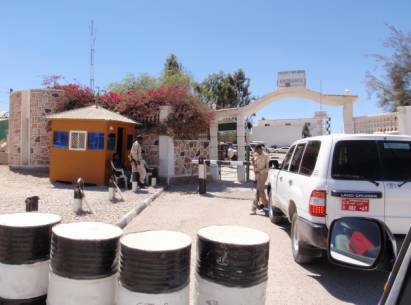 In this regard, the trial might become the first major trial discussing the link between the activities of the pirates and those of the militias which has been since long theorized but never so far clearly established.